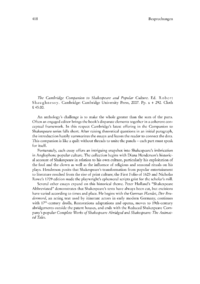 The Cambridge Companion to Shakespeare and Popular Culture. Ed. Robert Shaughnessy. Cambridge: Cambridge University Press, 2007. Pp. x + 292. Cloth £ 45.00.